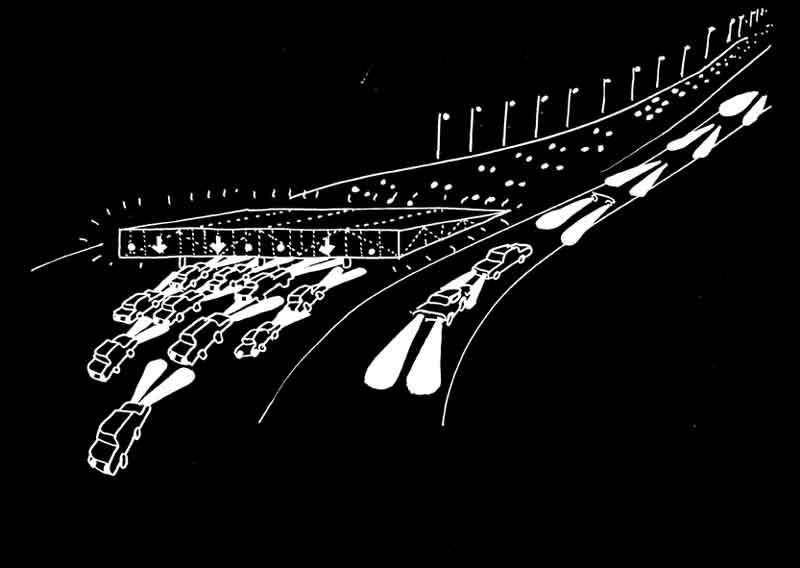 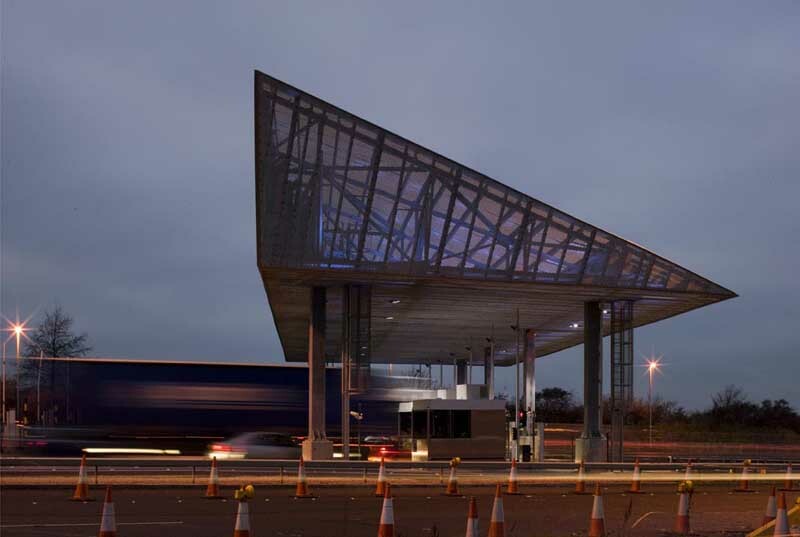 The Client’s Response : “Prior to appointing the architects, I really struggled to imagine what shape would fit in at the Forth. 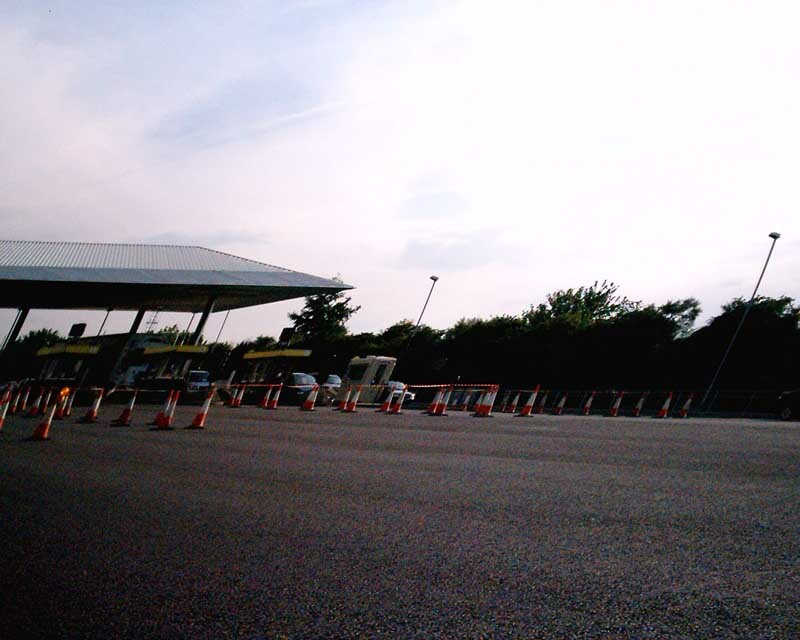 I had seen toll canopies in America, France and Italy and had a close look at the M6Toll and Severn bridges but nothing would fit in against the backdrop of two of the worlds most famous bridges. 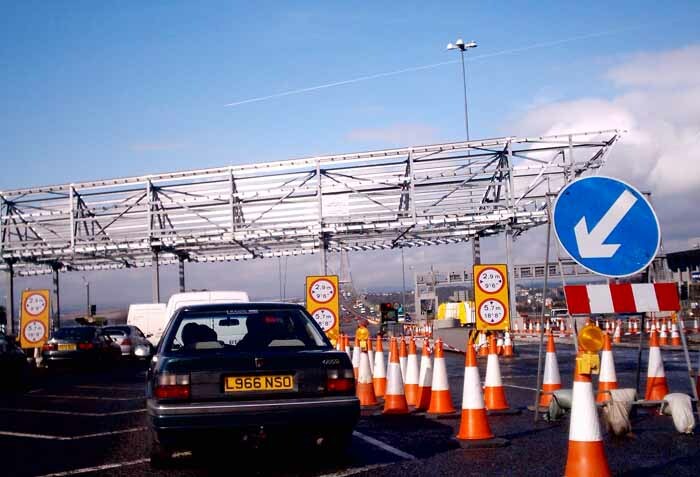 I’m impressed with the simplicity and pragmatism of the design which, at the same time, manages to minimise its visual impact from the North and yet provide an ideal structure to house the signs giving guidance to motorists approaching from the south. 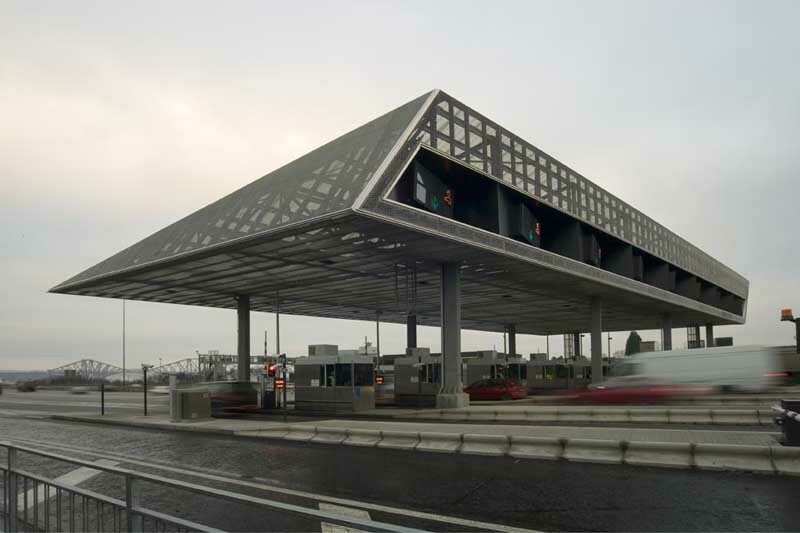 Our Toll Canopy and new extension to the existing Administration building forms part of the wider redevelopment of the Toll Plaza situated to the south of the Forth Road Bridge on the A90 north bound carriageway. 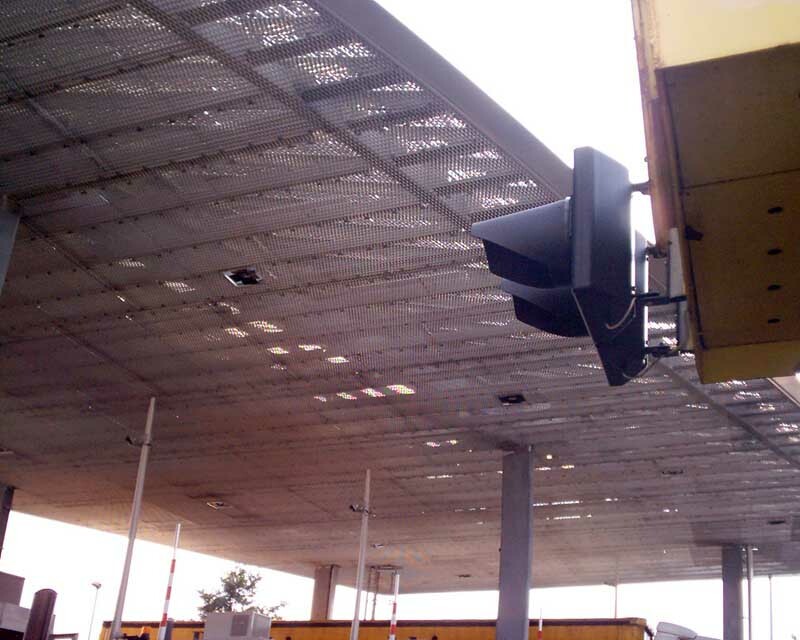 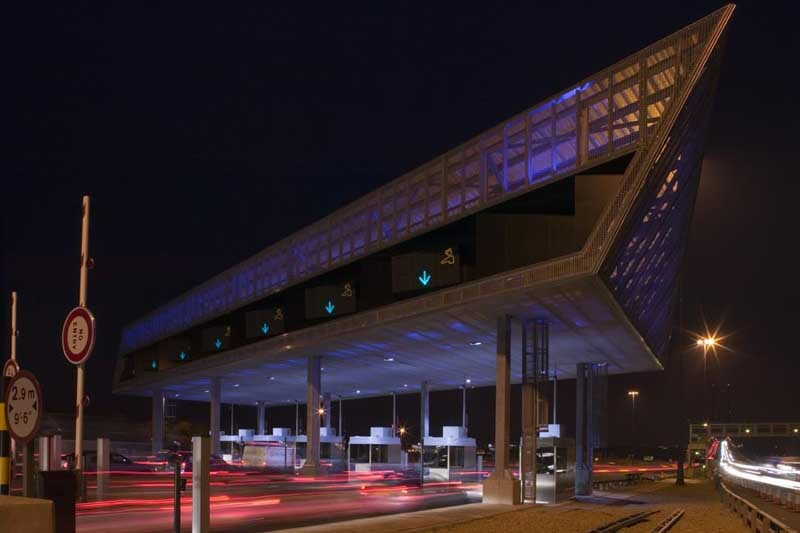 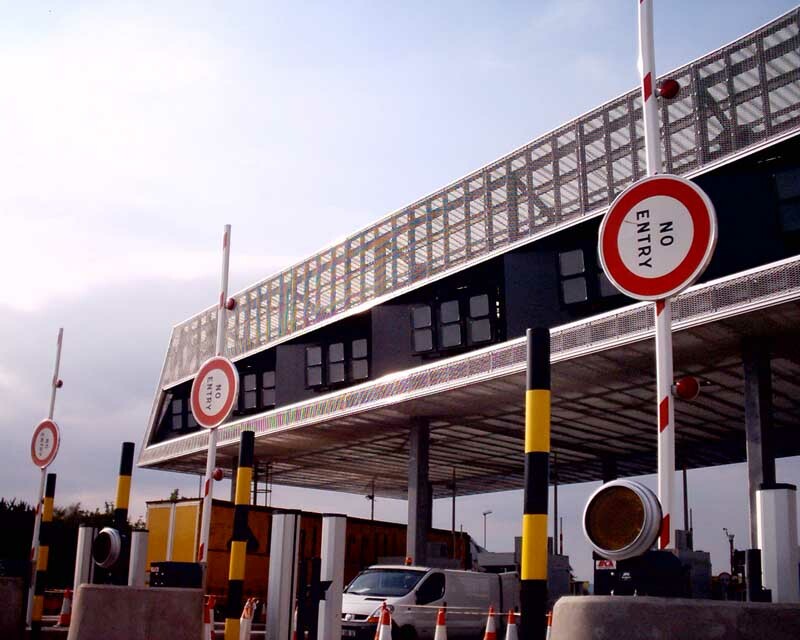 The replacement Toll Plaza – defined by a new toll canopy with integrated signage – incorporates state of the art computing and toll software hubs housed in the new extension to the Administration Building. 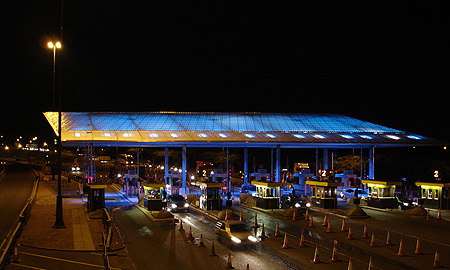 Toll collection efficiency will be vastly improved allowing a greater through capacity to be achieved. 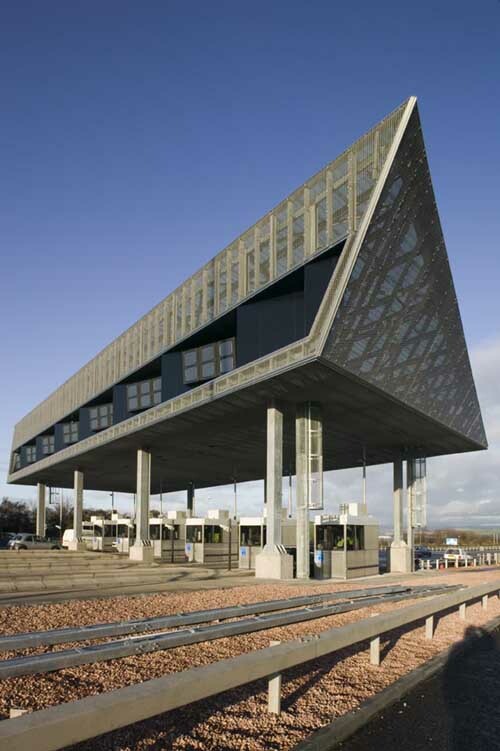 Reiach and Hall Architects have just successfully gained planning permission for a new Toll Booth Canopy and extension to the Administration Building sited on the southern approach to the Forth Road Bridge. 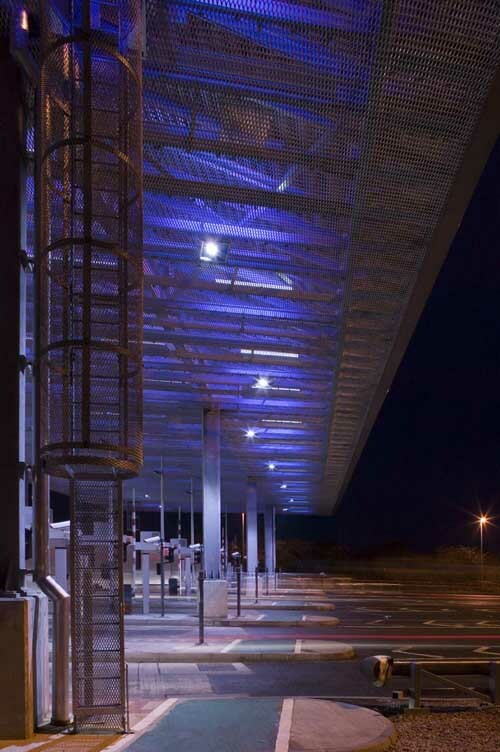 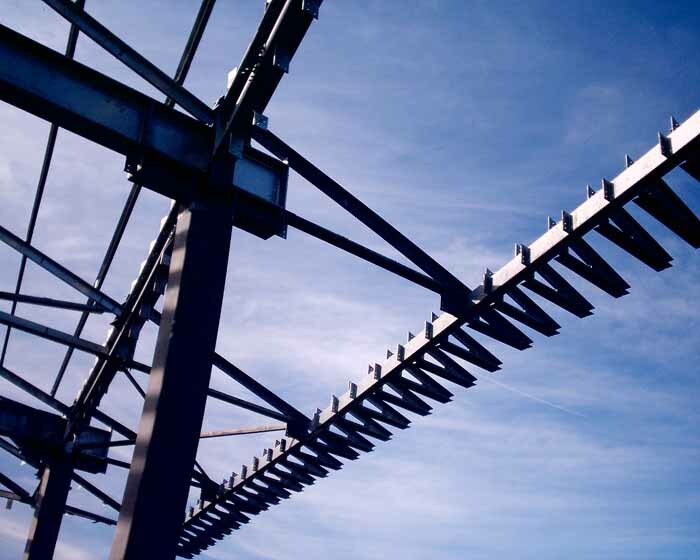 The unique steel and expanded metal Canopy stands alone straddling the southern carriageway. 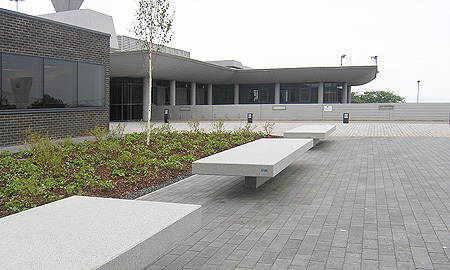 Dark blue/black brick and glass form the new extension to the existing FETA (Forth Estuary Transport Authority) administration building. 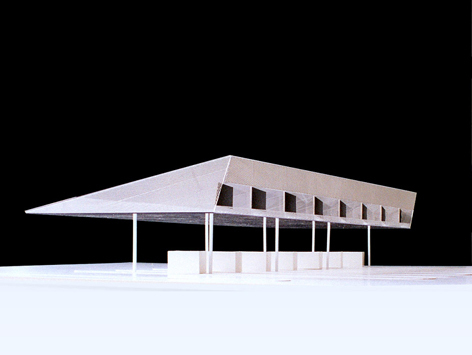 This new single storey, courtyard building provides additional FETA admin offices, a boardroom and new public toilets. 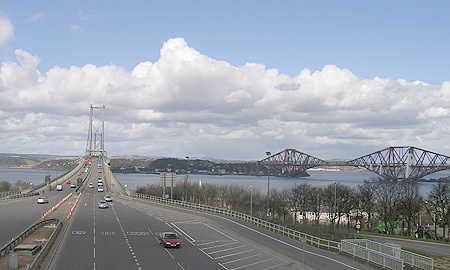 The Forth Road Bridge is 2.5km long woth 156m high concrete H-frame towers and is almost parallel with the world-famous Forth Rail Bridge to the east.